One place to visit in Paris on la Rive Gauche (the left bank of the Seine) is the très chic Saint-Germain-des-Prés, but this side of the river is also known for its Quartier Latin (Latin Quarter). This is where you’ll find Paris’ oldest monuments, dating back to the Roman period. The “Parisii”, as the people who lived in Paris in the 1st century BC were called, were settled on Île de la Cité. When the Romans conquered Paris in 52 BC, they developed the city on the western slope of the hill called Montagne Sainte-Geneviève and this part of Paris would later become the Latin Quarter. Once there, it would be a real shame to limit your visit to taking a selfie in front of the fountain and eating mediocre food in the tourist traps. 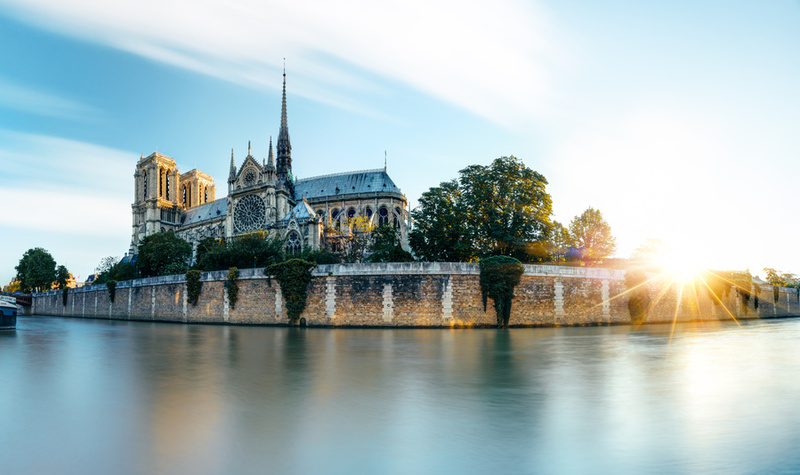 This district, which is called Latin because students used to take their Latin classes here, has much more to offer, as long as you move away from the Seine and head towards the Panthéon. Indeed, for many visitors to Paris the first experience of the Latin Quarter is, unfortunately, Place Saint-Michel and its fountain, which is a favourite meeting spot. Framed by the Gibert Jeune bookstores, souvenir shops, and average-quality restaurants catering to tourists and claiming to serve French specialities, Place Saint-Michel can be off-putting and give a poor impression of this district, which is actually beautiful if you look a little deeper. These streets, which are among the oldest and most beautiful in Paris, are lined with restaurants in which no Parisian would ever set foot. The famous English-language bookshop “Shakespeare and Company” is also in the vicinity. To get you well away from Saint-Michel’s tourist traps, I offer culinary tours of Paris for the foodies among you. I’ve managed to find hidden treasures, even along the most touristy streets. Chez Maï and Lengué are two examples. It is sometimes difficult to get away from the tourist-filled streets and cheap souvenir shops to find the capital’s most historically-significant monuments. Vestiges such as the Arènes de Lutèce amphitheatre or the Thermes de Cluny (Gallo-Roman baths) will have you travelling back in time. Walking up Rue Saint-Jacques takes you along the main thoroughfare of Roman Paris, the Cardo Maximus, a north-south axial road. 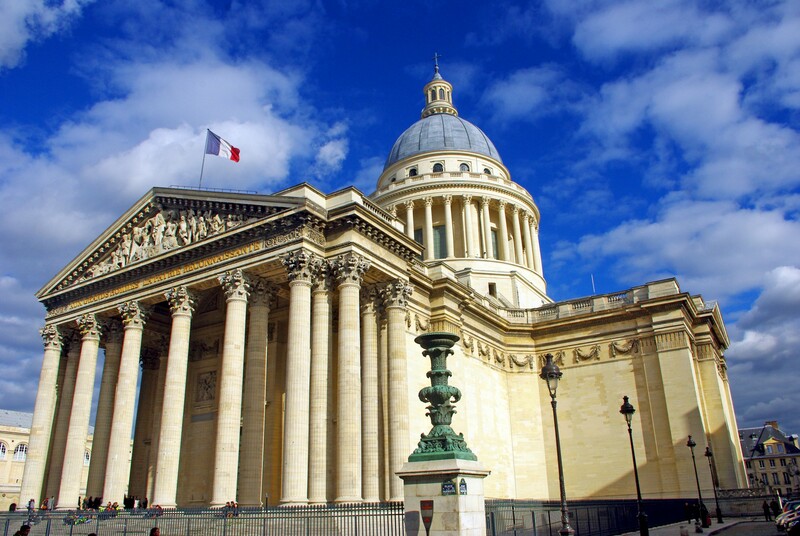 It will naturally guide you from Notre-Dame to the Panthéon via Sorbonne University. There is a bit of an incline here, because you are actually “climbing” Montagne Sainte-Geneviève, named after the patron saint of Paris. Once at the top of the “mountain” (which is really just a hill), on one side you will be able to admire the Eiffel Tower, as a backdrop to the Jardin du Luxembourg (Luxembourg Garden), and on the other the imposing Panthéon and its monumental façade. Recently, wooden benches were set up along the esplanade and passersby, students and tourists take great pleasure in sitting here on sunny days. Before arriving at the Jardin des Plantes (botanical garden) and the Great Mosque of Paris, I will have guided you through the Mouffetard district, which is very distinctive due to its cobblestone streets and its small village atmosphere. If you find that some parts remind you of the film Midnight in Paris, that’s because many of the movie’s main scenes were shot here! What I love about this district is that it’s ideal to walk through, as there are very few vehicles driving around. My goal is to give you a tour of Paris that goes beyond what the average tourist sees. When you visit Paris, let me take you off the beaten track and show you the city through the eyes of a Parisian. Write me for a private tour.